This is the Lightnin' Grip Loader from McFadden Machine, a versatile .22LR speedloader compatible with 25 different magazine types using interchangeable adapters (available separately). Please order the correct Grip Loader adapter for your magazine to go with the loader. The fastest speedloader for .22LR magazines currently in production, you can load a 25 round magazine in 10-15 seconds. Our own copy is now an essential kit bag item for .22 Tactical shoots now, (we hate getting slippery hands from lubed ammo). The McFadden Lightnin Grip Adapters are available separately. 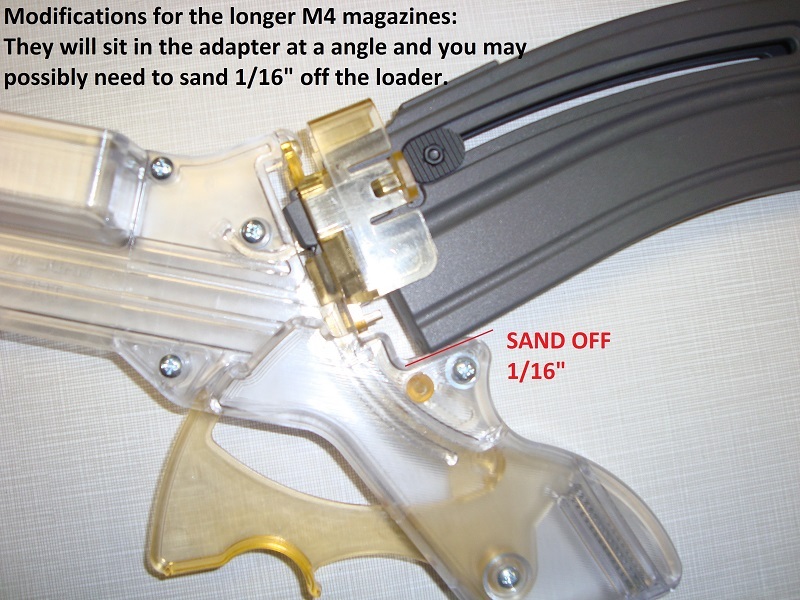 Please make sure you order the relevant adapter for your magazine(s) as well as the loader. Smith & Wesson M&P 15-22 magazine, ammunition and adapter pictured are not included.